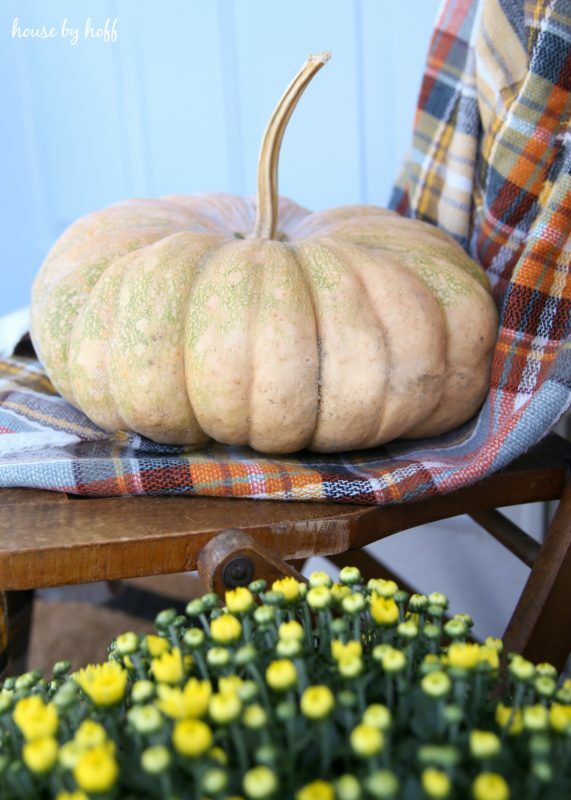 It’s the first day of fall, and the decorating is in full-swing around here! 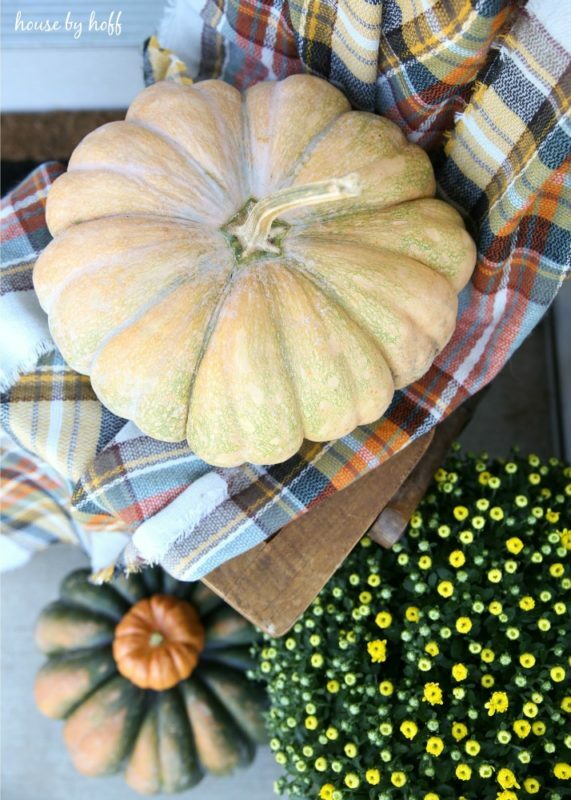 I’m so excited to be taking part in an awesome Fall Porch Hop today with some amazing and talented bloggers! If you’re stopping by from The Happy Housie, welcome! 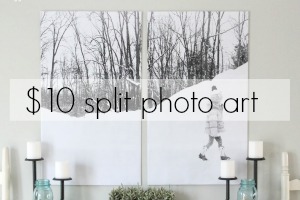 So, it’s obviously no secret that I love to decorate. But, honestly, I feel like I’d probably skip the outdoor decorating altogether if it were up to me. 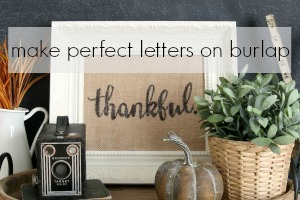 It’s a good thing I got invited to be a part of this blog hop, because it motivated me to get my booty in gear and decorate my front stoop for fall! I sent Mr. Hoff and Miss L. off to the lake for an hour the other day so that I could properly decorate the stoop and photograph it. I must admit, I was having fun with the outdoor decorating, and I found myself getting into it. Arranging gourds is really an art, you know. Despite my silly hashtag, so far I’ve been very good about watering my mums. Miss L. has been really into “watering the trees” in our yard lately. They’re very established trees that have been there for longer than she’s been alive, but she insists on taking our big watering can around and drenching them while she sings and talks to them. Her outdoor work ethic and determination is really rubbing off on me, and I’ve been watering the flowers every other day. For the record, I haven’t been singing or talking to them though…or if I have, I would never admit it. 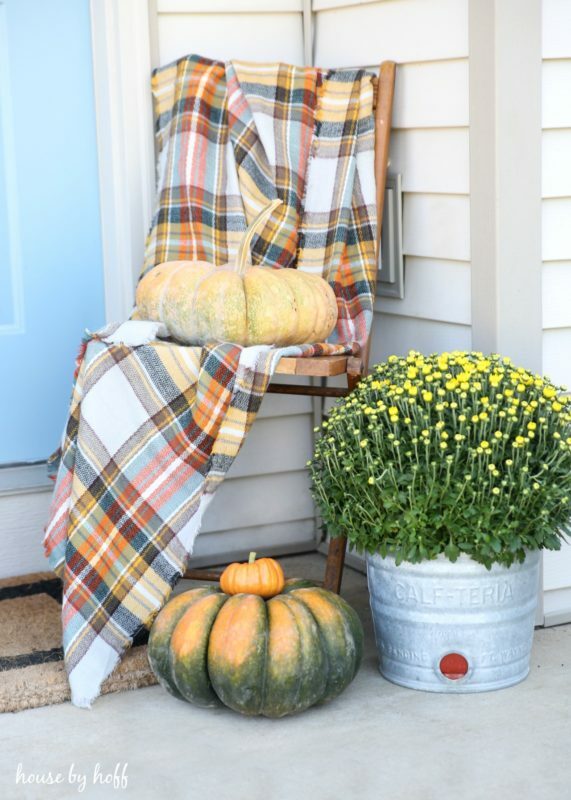 I really am loving the fall look of our front stoop, and I do love to see how other people transform their outdoor spaces for the changing seasons. 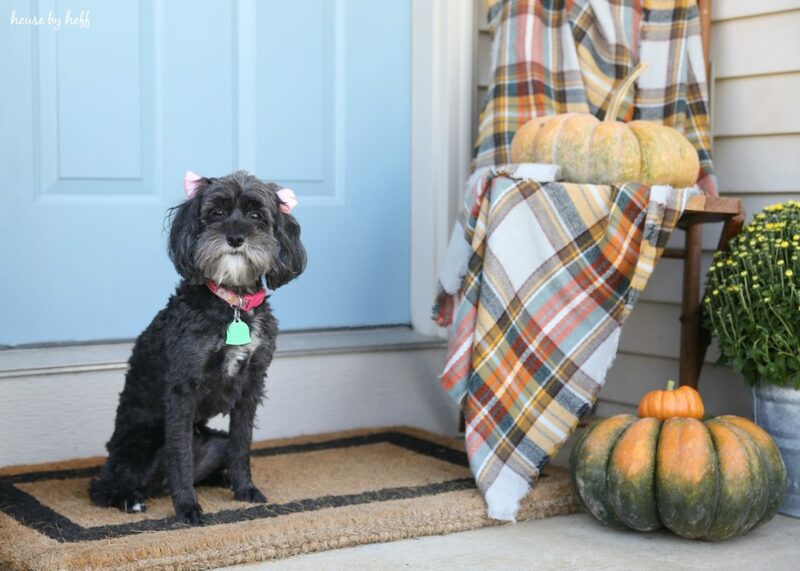 It’s becoming a bit of a tradition to photograph our dog with the fall front stoop. She’s always so curious to see what I’m doing out here, and with a promise of a treat, she’ll sit still long enough for me to snap some photos of her. Plus she’s looking so sweet with her haircut and pink bows, and I just couldn’t resist. I hope you’re leaving with a little inspiration today! Be sure to check out the lineup for the week for the Fall Porch Hop, and stop by Cherished Bliss next! I LOVE that throw! And all the different containers 🙂 SO cute! hey girl love your porch! So pretty! 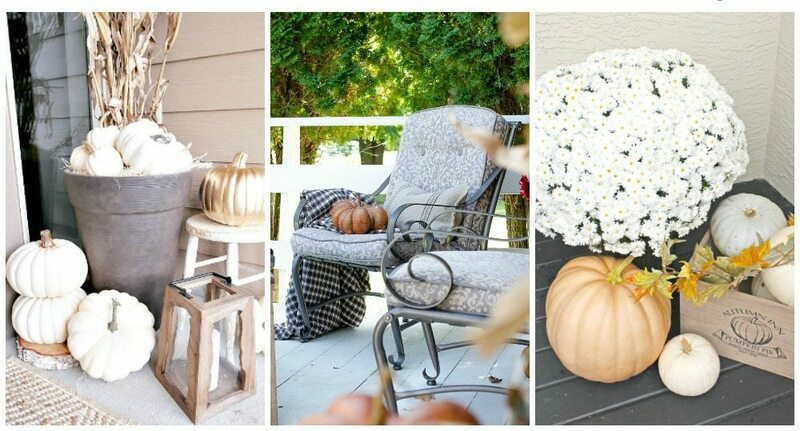 I love your porch fall design, it’s very beautiful. Three days ago I painted my front door this exact color, and I love the way it look. 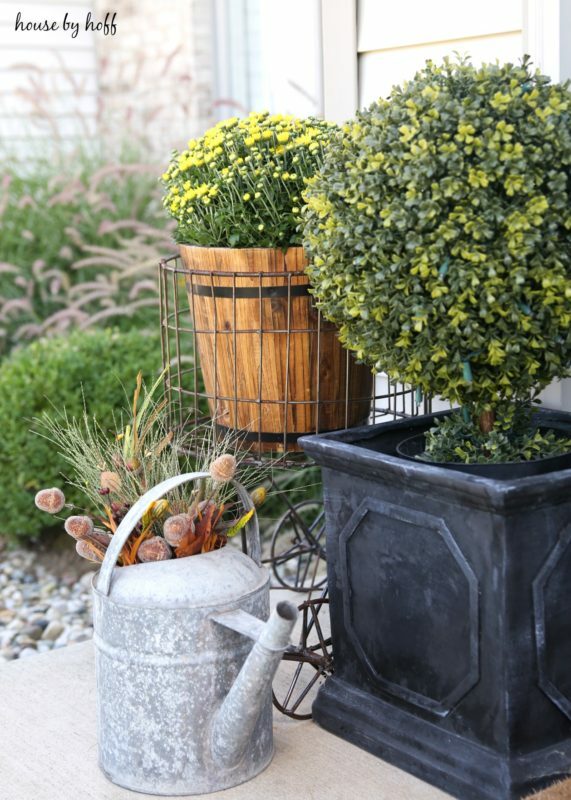 Thanks for your gorgeous fall decorative ideas. Beautiful porch! I love your unique looking pumpkins. 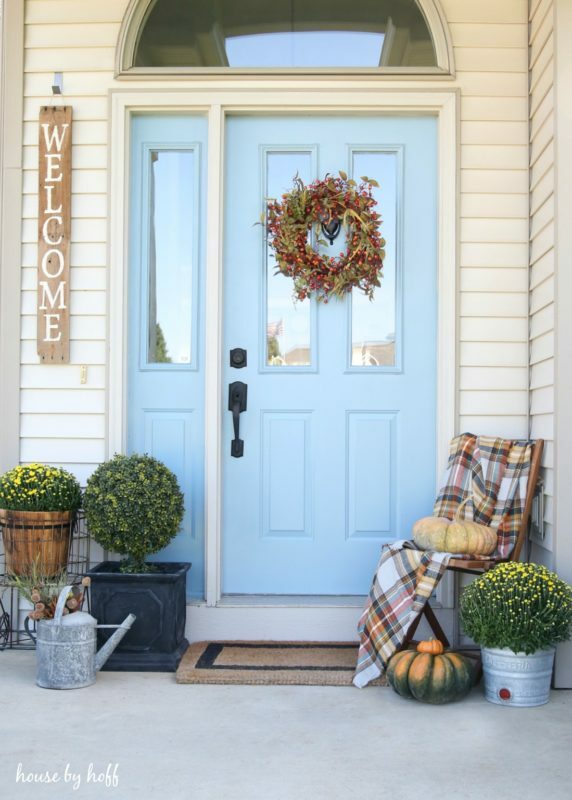 The wreath looks perfect on the blue door! Other stuffs are awesome as well. 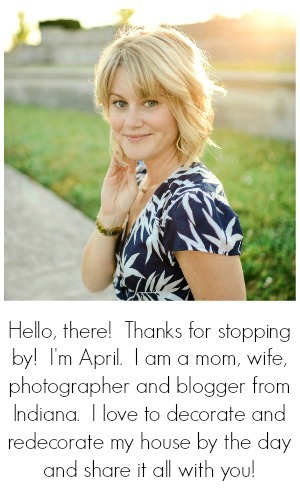 Well done, April! 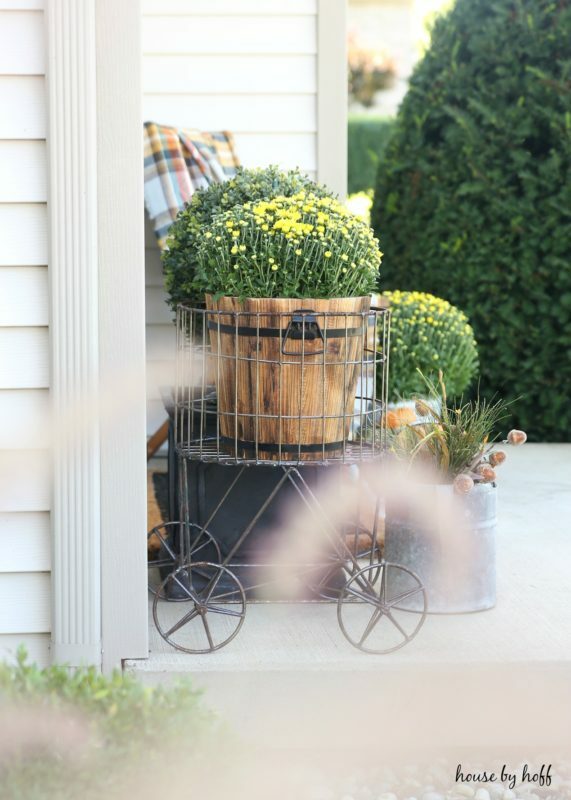 Love the fall porch and your door color. What color is your door?